Some friends invited me to dinner many years ago, along with an architect friend of theirs. I guess it was a blind date, of sorts. He had lovely blue eyes… and we ended up getting married! Now coaching does not in general end up in marriage (!) but you can become great professional friends. And that first meeting? It’s the dance of building rapport and checking out on both a professional and intuitive level, how the coaching relationship is going to work. At the Executive Central Coaching Academy we give our participants a real live client to work with. This always proves to be one of the most powerful learning experiences of the course. I spoke to two of our graduates about their experience. For Jayne Ormerod, Sydney-based Group L&D Manager at Goodman Ltd., the experience with an external ‘live’ client was important. “As an organisational coach I don’t have to go through the initial engagement process of contracting with the client on expectations and responsibilities. When you are coaching within an organisation you’re got, to an extent, a captive audience and it’s a more open-ended process. Having an external coaching client was a bit like going on a first date. You’re going in pretty much without prior knowledge and have no idea if the other person is going to like you or want to see you again! It’s your responsibility to build rapport, because without it the coaching is not likely to work. I found in the early stages I was asking myself whether I was adding value: it’s hard initially to get that feedback that tells you the person is getting what they need and want. One opportunity for Jayne was that of sharpening up her coaching skills. Everyone develops their own organic style, but this can lead to complacency and bad habits. Any training is only a good investment if you put it into practice. So the live coaching client is a great idea. Even though I coach within my organisation, having to take on an external client at that early stage was a powerful learning experience. I think it’s a big confidence booster for people. Wade Fuller is a Leadership Coach with Queensland Police Service. Wade completed the program 12 months ago. He focuses mostly on internal organisational coaching and was coaching four ‘live’ coachees at the same time as going through the Coaching Academy. “The theory of coaching itself is quite easy! It’s the art of asking good questions and listening, however that can be challenging for a new coach. Once I learned to really listen, the questions flowed a lot easier and I felt the quality of the sessions become much better. Coaching really is about listening - hearing what’s being said. It’s probably a bit more mechanical to start with. But once you learn to listen and hear what’s not being said, the questions become a lot more valid, the process becomes smoother and the outcomes are enhanced exponentially. I’m fairly experienced now with those first coaching dates. For me it’s about having a genuine interest in and regard for other people. People know at a subtle level whether you are genuine or not, so there’s no faking it. I really do love people, and love that experience of getting a feel for what that person is all about. I feel a tremendous admiration and respect for my coaching clients, starting off and building from the first date. They are all unique, and I feel so lucky to be a part of their journey for a while. Reyna is passionate about helping people reach their full potential. An energising and engaging executive leadership coach, facilitator and keynote speaker, Reyna inspires people to actualize their full potential. 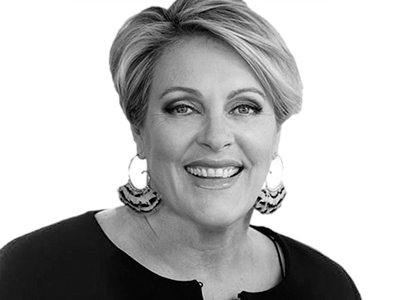 Accessing 25 years senior executive experience, she works with Australian and Asia-Pacific clients across a range of industries such as financial and professional services, banking, property, and government. Reyna’s work is about getting results for organisational clients through their most valuable resource - people. We need to determine our aspirations, understand our weaknesses, and play off our strengths. Vertical leadership development: what is it and how do you do it? It's become obvious, to meet change and not fight with it we need a new form of leadership!